BRIZA ON THE BAY, is a spectacular and popular wedding venue in Miami, Florida. As one of the most popular formal waterfront wedding venues located in South Florida, hundreds of brides and grooms choose to exchange wedding vows at this premier wedding venue every year. As a premier waterfront wedding venue located in the heart of Miami, Briza on the bay offers a variety of options for the perfect Miami wedding day. Bria on the Bay offers exciting views of downtown Miami, the bay and has a beautiful dock perfect for bridal portraits couples love most. Getting married at Briza on the bay also provides out of town guests with a variety of activities and entertainment options when they come into town prior to and after the wedding day they are attending. Whether guests want to visit nearby Miami Beach or head to downtown Miami for shopping, live shows and eateries, Briza on the bay is perfectly located to provide everyone attending a wedding things to do during their time in Miami, Florida. 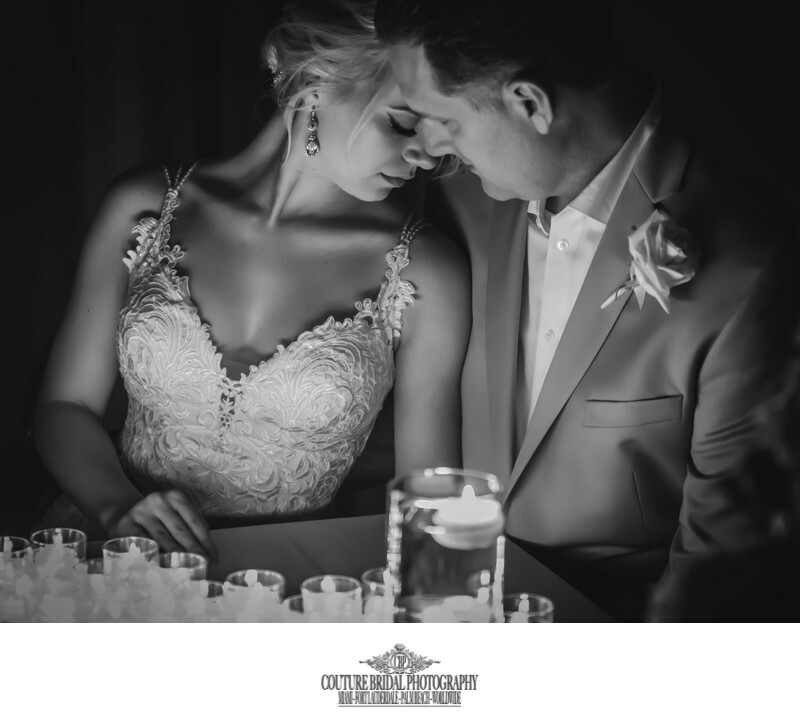 Couples getting married at Briza on the Bay hire the Best Miami Wedding Photographers to carefully capture their wedding day with elegant, romantic and timeless wedding photography. 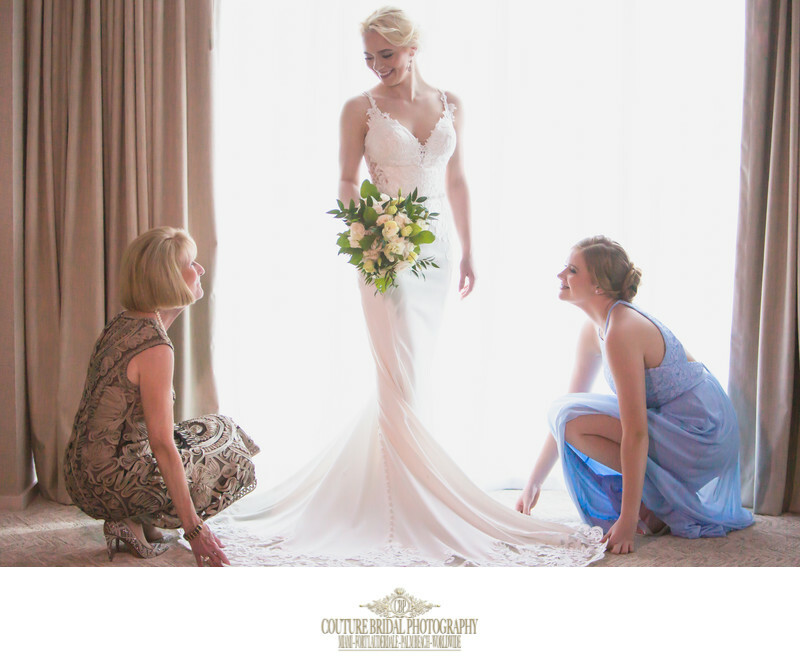 Couture Bridal Photography is recognized throughout South Florida as one of the best professional wedding photography studios providing the most breathtaking story telling wedding photography in Miami, Florida. As one of the best wedding photography studios in Miami, Florida we provide brides and grooms with the most personalized wedding day photography experiences. 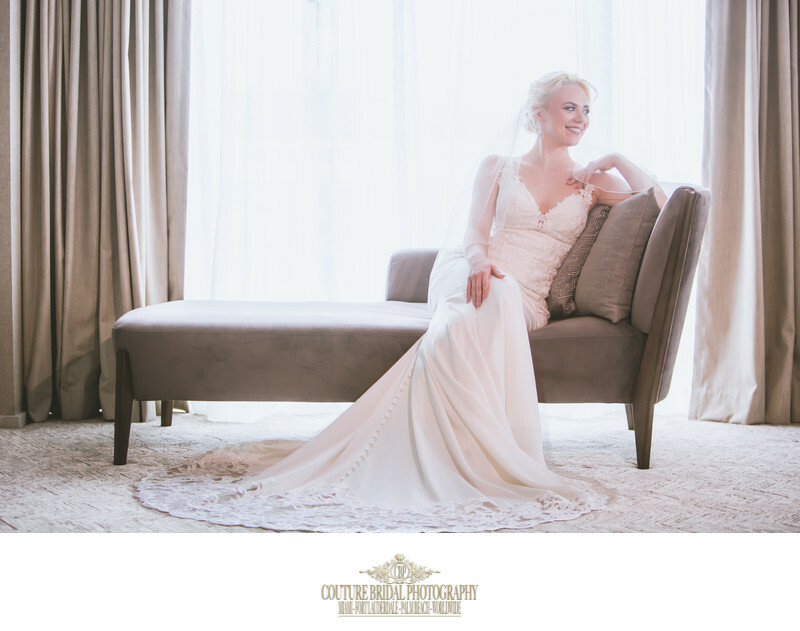 Couples from around the world choose Couture Bridal Photography for their Briza on the Bay wedding photography. Getting married at Briza on the bay is one of the best decisions a bride and groom can make for their wedding day venue. Briza on bay offers 14-FOOT WINDOWS THAT OFFER SWEEPING VIEWS OF THE MARINA, As a MODERN, ELEGANT VENUE that CAN ACCOMMODATE ANYWHERE FROM 20 - 340 SEATED GUESTS. Briza on the bay is the perfect choice for an amazing wedding day. Other options brides and grooms can choose for their wedding day include Outdoor cocktail reception on the Bay, Outdoor floating stage, Helicopter landing pad for guest arrival by air with rental helicopters available, Private dock for guest arrival by boat with optional boat rentals and having a Spectacular laser and fireworks displays over the Bay. No other wedding venue in Miami offers the luxury options available at Briza on the Bay. Couples can choose to host their ceremony, cocktail hour and reception at Briza on the Bay or get married at a house of worship and host their cocktail hour and reception. Briza on the bay is one of the most convenient wedding venue locations for couples who have family and friends visiting Miami from out of town. Not only is Briza on the bay close to some of the best Miami attractions like American Airlines Arena, Bayside, and Miami Beaches exciting nightlife, there are a number of local hotels for guests to stay at to attend a wedding. Located within walking distance of Briza on the bay, couples can arrange to reserve a block of rooms at Double Tree by Hilton grand hotel Biscayne bay, Miami Marriott Biscayne Bay, Hilton Downtown Miami and ME Miami. 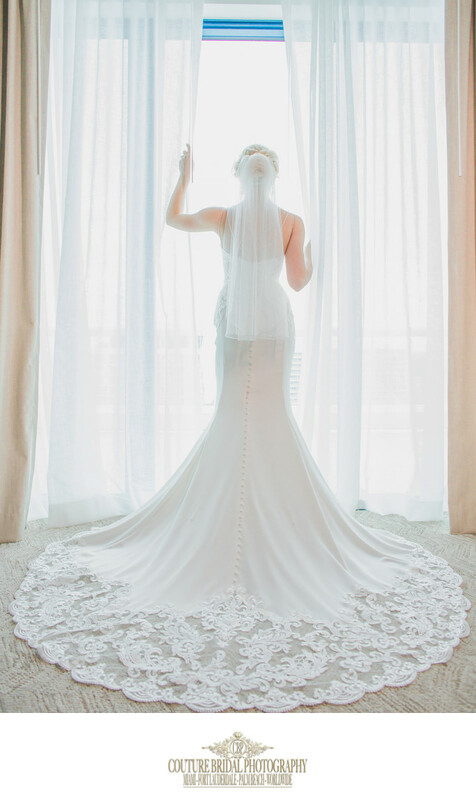 The hotels are also perfect for the bride, groom and bridal party to get ready in their bridal suites prior to and after the end of the wedding day. Brides getting married at Briza on the bay benefit from closely located hotels, so they can have the best wedding day on-location hair and makeup artists in Miami provide the bridal makeup and have the best miami wedding photographers capture the most intimate moments leading up to the beginning of the wedding day. The benefit of having a venue so close to hotel accommodations for wedding guests like at Briza on the Bay make Briza on the bay, a great choice for a beautiful Miami, Florida Wedding. The reason Couture Bridal Photography is considered the best Miami Wedding Photographers is our unique and distinct style of story telling wedding photography. Our style of wedding photography that incorporated photojournalism to capture fleeting moments as they take place, Editorial photography to create carefully crafted and posed images, Fashion photography that highlights the brides and grooms style and attire, glamour photography that focuses on the brides beauty, personality and sensuality results in the most spectacular wedding photography in Miami, Florida. 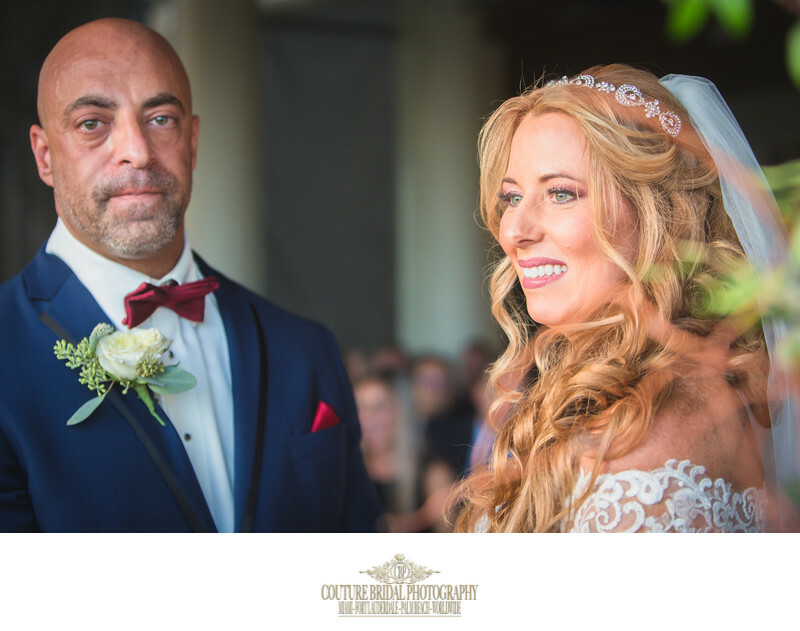 Brides and grooms that want the most timeless wedding photography for their Briza on the bay wedding chose us for the most personalized and comprehensive wedding photography in Miami, Florida. 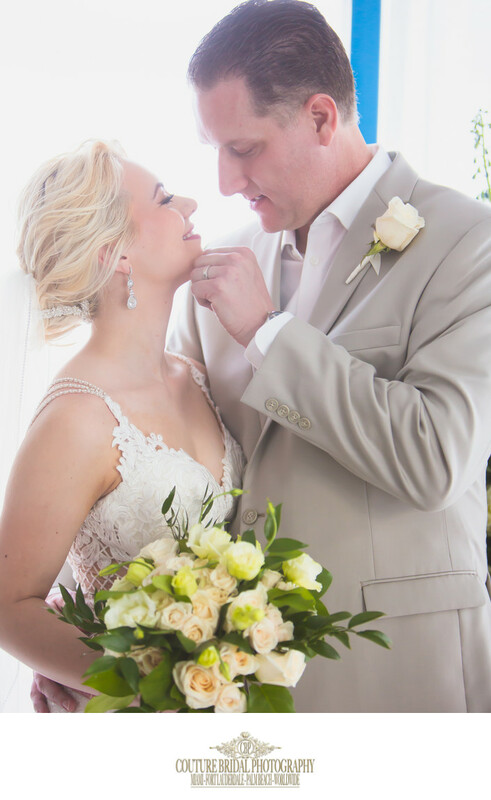 Brides and grooms getting married at Briza on the bay choose Couture Bridal Photography, as the preferred Miami wedding photographers for the best wedding photography, prices, options and services available in Miami Florida. Couples planning their wedding at Briza on the bay also appreciate our wedding planning and timeline assistance and our personalize customer services that caters to each couples specific needs. Location: 1717 North Bayshore Drive Miami, FL 33132.